Not everyone is eligible to give blood, but everyone can help make a blood drive successful. I started giving blood my freshman year of college. I was honestly terrified my first time, and somewhat still am to this day. I still cannot watch them insert the needle into my arm and often find myself speaking Spanish to take my mind off of it. However, once everything is good to go, it all ends so fast. The eight times I have donated, I never have had a terrible experience. The phlebotomist I have dealt with have always made sure I was comfortable during the whole procedure. Constantly checking up on me, making sure I was not going to faint. Many will talk you through each and every step if you need them too. I have always donated blood on my college campus. Throughout the year, different organizations set up blood drives, and if I am able to, I always sign up. Out of the 37% of people that are eligible to donate blood, only about 10% actually donate. I am proud to be a part of that 10%, but I really do with the percentage was higher. My first thought is that if I am in a situation where I need a blood transfusion to save my life, I would hope that someone compatible donated and it was on hand at the hospital I am at. Blood cannot be readily given to just anyone. Most people can only receive a certain type of blood. Those with O- blood are considered the universal donor, this is because their blood type is able to be accepted by any person. However, they can only receive blood from those with O- blood. Whereas those with AB+ are only able to donate blood to AB+ but can receive blood from anyone. They are known as the universal recipient. This is due to the antigens found on the red blood cells. 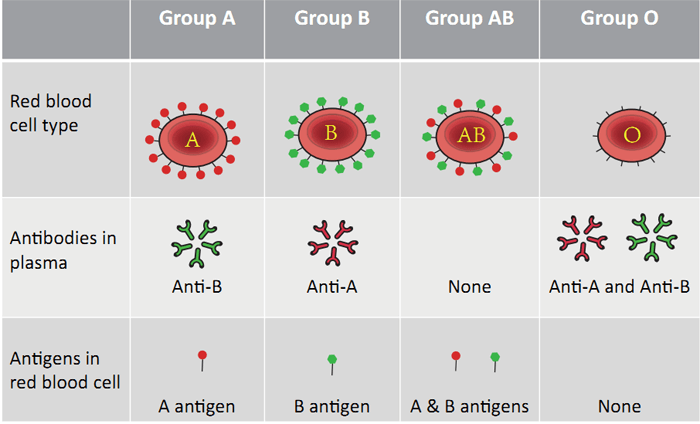 Type A blood has A antigens, type B blood has B antigens, type AB has both A and B antigens and type O blood does not have any antigens. These antigens interact with the antibodies found within the plasma. Generally, the antibodies are opposite to the antigens found on the blood cell. If someone receives an incompatible blood type, the antibodies and the body itself will essentially attack those blood cells and eventually cause damage to that person. It is also important to know the "+" and "-" portion of blood typing. This is determined by the RhD gene. Those with Rh-positive blood can receive blood from those with Rh-positive or Rh-negative blood. Those with Rh-negative blood can only receive Rh-negative blood. If someone with Rh-negative blood receives blood that is Rh-positive, it can cause their blood to clot and if they are a woman who can bare a child, it could harm the baby. Not everyone is able to donate blood though. There is an extensive list of what can prevent you from donating, from being sick on the day of donation to have traveled to specific countries within a certain time period. The most common reason that people experience the day they plan to donate is low levels of hemoglobin. This is a protein that helps the blood bind to oxygen to carry it around the body. It has a central iron atom that is very important during this process. 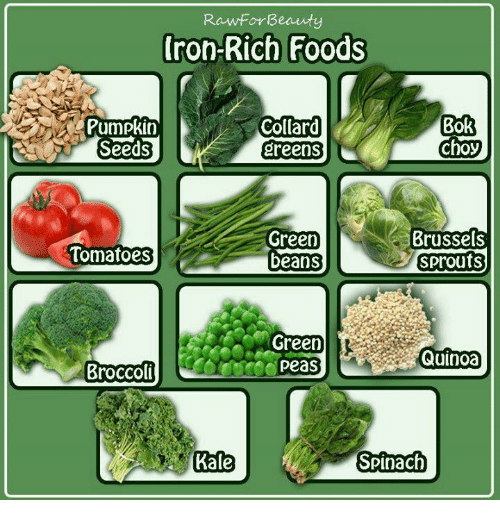 One way to ensure that your hemoglobin levels will be in the correct range is to eat iron-rich food before donating blood. If you know you are unable to donate blood, it is not the end all. Look into helping out at local blood drives. Volunteer to pass out water and foods to those donating and keep the waiting line in check. Plan a local blood drive throughout the years by yourself or with an organization. 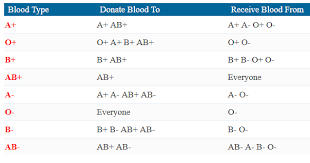 Educate those on why you should donate blood if you are eligible.